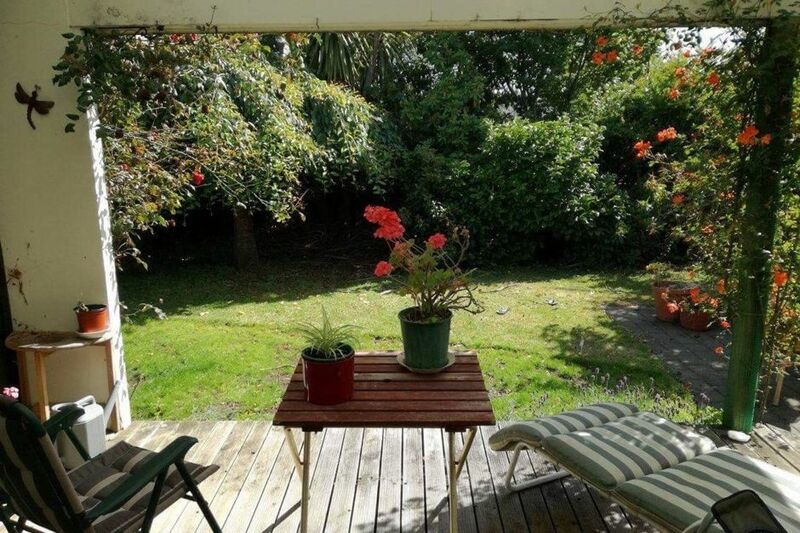 Relax on the covered deck with tui's and bellbirds for company, then enjoy a BBQ in the garden. The boat harbour and swimming pontoon are at the end of the street and the community swimming pool just 5 minutes away. Plenty of off-street parking available. Beautiful lakefront walks on your doorstep and the Great Walks of Fiordland close by, plus plenty of boating and fishing options. In the cooler months there is a cozy wood pellet fire and heat pump available and plenty of gas hot water for both bathrooms. A selection of board games are available for use. A selection of children's toys are available for use. My wife and I really enjoyed our stay here. Would definitely recommend. Excellent for our needs. Thank you. Thanks great house and facilities. Catered for all of us. Spacious. Well equipped. Quiet, centrally located neighborhood. Wonderful spacious home. A bit outdated, but everything you need is there. Very comfortable and clean. Nice bathtub but watch out, it is slippery and has no overflow drain. We would stay here again. Quiet family home, would be great for larger groups with lots of rooms.